Formally the Director of Bands and the Coordinator of Music Education at the University of Maryland Eastern Shore, John R. Lamkin, II received his Bachelors from South Carolina State University, his Masters from Morgan University, and his Doctorate from The University of Maryland at College Park. All his academic degrees have been in Music Education. A native of Atlantic City, New Jersey, Dr. Lamkin taught in the public school systems in South Carolina and Baltimore, Maryland before joining the faculty at University of Maryland Eastern Shore. Dr. Lamkin was also a former member of faculty at Sojourner Douglas College. During his tenure at UMES, Dr. Lamkin was instrumental in attracting several jazz icons to come to UMES to work and perform with his students. Some of those musicians include: Wynton Marsalis, Nicholas Payton, Robin Eubanks, Steve Torre, Jon Faddis, Ralph Peterson, Jimmy Heath, Duane Eubanks, Benny Golson, Larry Riddley, Jimmy Owens, and the late Shirley Scott, Charles Fambrow, Donald Byrd, and Stanley Turrentine. Dr. Lamkin has also served as a clinician, a guest conductor, a festival adjudicator, and the promoter/organizer of the Eastern Shore High School Jazz Ensemble Festival, staged at the University of Maryland Eastern Shore. 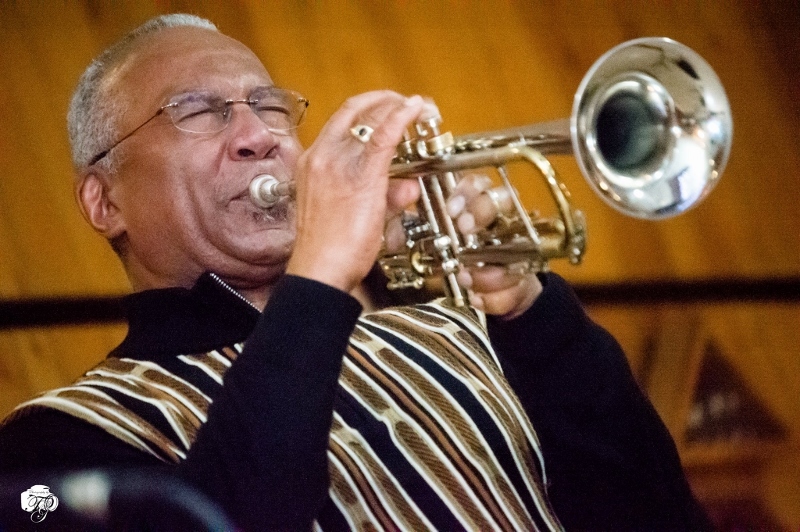 Not only is Dr. Lamkin a professional educator, he is a professional trumpet player who is equally adept in the jazz, classical and sacred genres. His performance credits include performances with the Manhattans, Stephanie Mills, Maurice Hynes, Sonny Stitt, Vaughn Freeman, Frank Foster, Larry Riddley, the African American Jazz Caucus Big Band, Onaje Allan Gumbs, Cyrus Chestnut, Charles Earland, Charles Fambrow, Keter Betts, Ralph Peterson, Harvey Mason, the Dells, and K.C. and the Sunshine Band. Locally Lamkin has performed with the Zim Zimeral Orchestra, the Baltimore City Big Band, the Hank Levy Legacy Band, the Whit Williams Big Band, the Lynn Gray Orchestra on the Eastern Shore, the Dale Corn Big Band, the Blue Moon Big Band, the Washington Jazz Battalion, and the Peabody Jazz Ensemble. Dr. Lamkin has also performed with his own jazz and jazz/rock groups in various nightclubs in the Baltimore and Washington area, and for numerous parties, dances and weddings. Dr. Lamkin has also performed, as a classical trumpet soloist; with his Sacred Jazz Quintet; with his brass ensemble, or as a guest conductor at many area churches, including: All Saints Catholic Church, Grace Presbyterian Church, Lochearn Presbyterian Church, Union Baptist Church, Heritage Baptist Church, Timothy Baptist Church, City Temple Baptist Church, Milford Mill United Presbyterian Church, Grace Presbyterian Church, the Holy Covenant Episcopal Church, St. John’s Catholic Church, Waylon Baptist Church, Mount Pleasant Ministries, and St. Mark on the Hill. Dr. Lamkin has been voted to Whose Who among American Colleges and Universities, was inducted into the National Honor society, and has held posts on the Maryland Arts Council and the Maryland Humanities Council. Dr. Lamkin received the “Jazz Heroes” Award from the Jazz Journalist Association for having a significant impact on jazz music in the Baltimore community. Currently he is a member of the National Association for Music Educators and the International Trumpet Guild. For many years Dr. Lamkin was a member of the now defunct International Association of Jazz Education, and was a Board Member of the African American Jazz Caucus, which was an affiliate of the IAJE. Several years during the IAJE Conferences, Dr. Lamkin hosted the AAJC Pro Jam session. His dissertation, “Beyond the Podium: A phenomenological Investigation of the Lifeworlds of Experienced High School Band Directors,” focused on what it was like to be a high school band director, and was nominated by the Chairman of the Department of Music Education at the University of Maryland at Collage Park as being among the best dissertations in music education to be written in 2003. In 1984, Dr. Lamkin recorded his only album, titled “Hot,” on which he wrote all but one of the compositions. As a child, Dr. Lamkin grew up in Atlantic City during a time when live jazz music filled many of its streets, and was an integral part of the community’s entertainment district; especially during the summer. It was during these formative years that he fell in love with music, particularly the sound of jazz, and realized then that he was called to dedicate his life to the perpetuation of our American Musical Treasure – Jazz. Dr Lamkin is married to Eartha S. Lamkin, an area vocalist and educator, and they have three children: John II, David, and Jocelyn and five grandchildren.